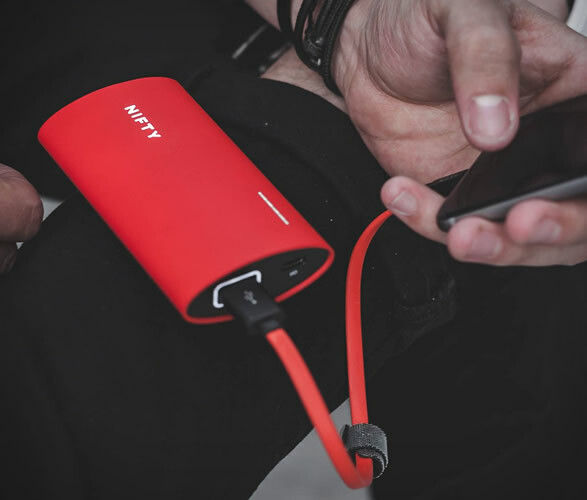 The NIFTY Mobile Charger is a sleek option on the market to get power on your devices whenever you need it, its main feature is the speed of the charge it delivers, up to twice as fast for an iPhone as a factory provided charger. 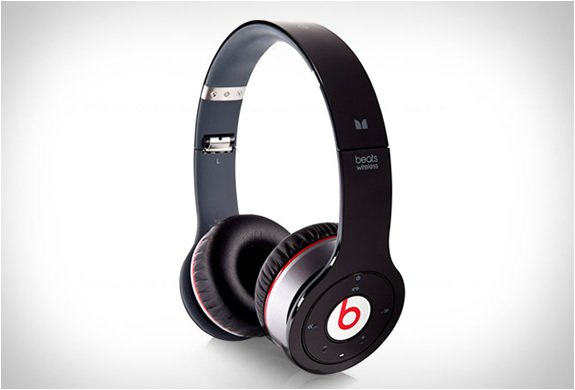 No worries on that department either it is Apple certified so you may use it at ease. 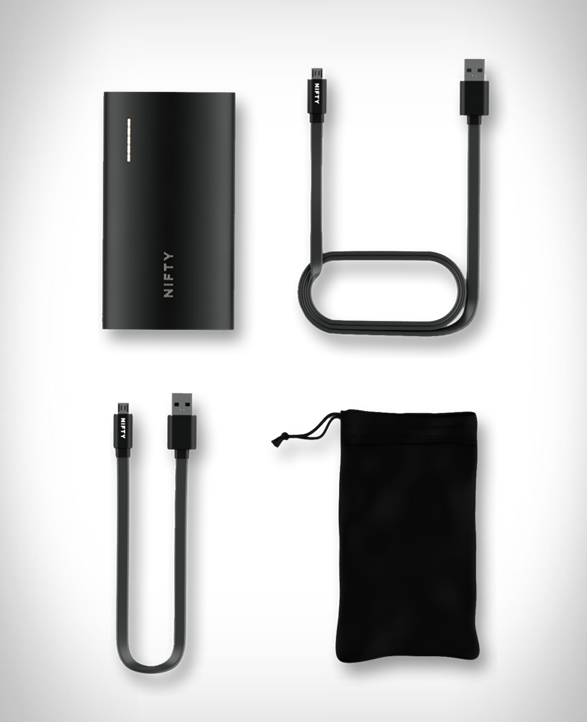 The NIFTY Mobile Charger is also Macbook friendly and ready to use with the Type-C connector (USB-C) that enables fast charge too. 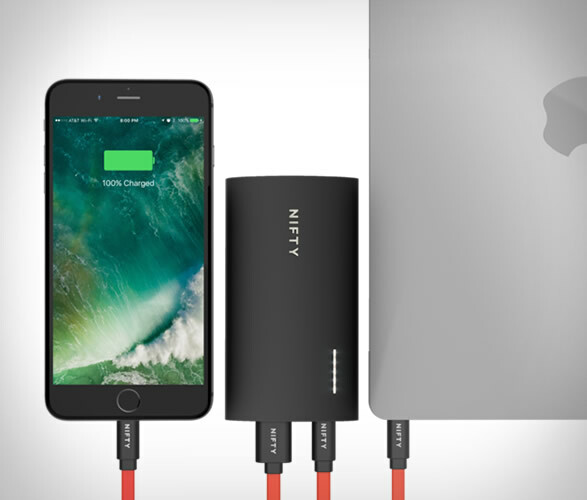 Android and Windows users were not forgotten so you also get the Qualcomm Quick Charge 3.0 tech that ensures speedy power up on these devices. 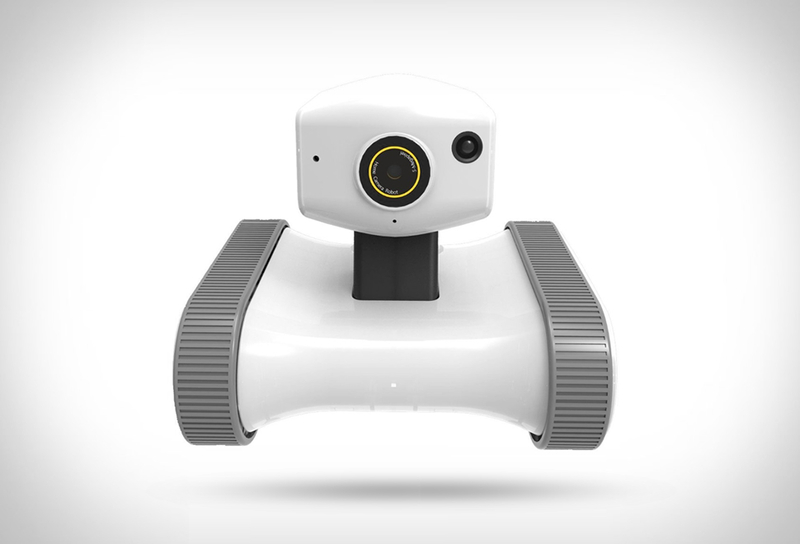 Its proprietary technology will enable it to instantly detect what type of device its connected to and optimize charging capacity and speed. 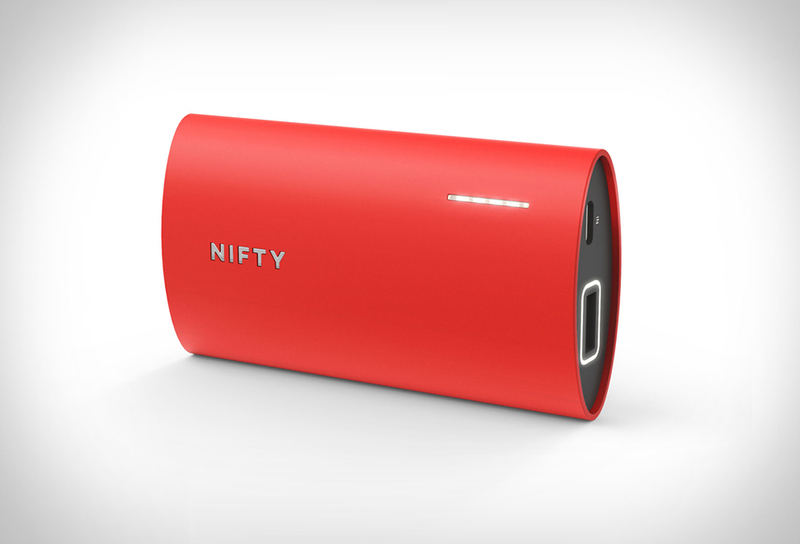 Nifty delivers up to 24 Watts and its battery will recharge your iPhone up to 4 times. 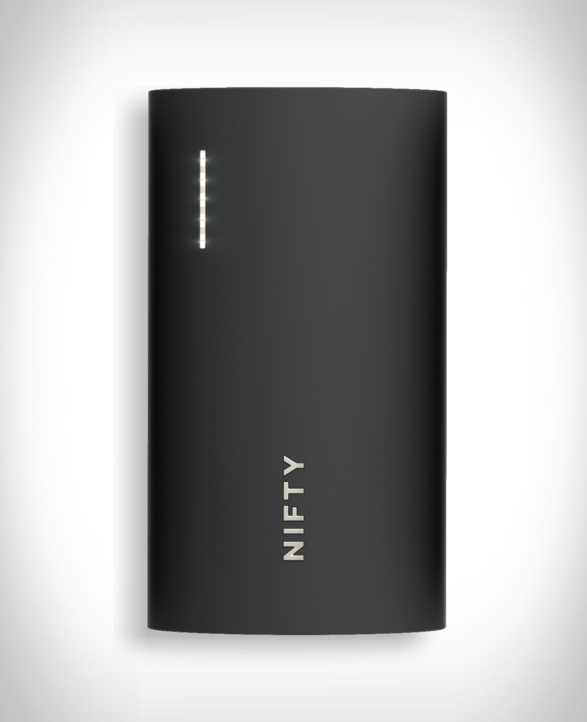 It also features a minimal look with useful innovations such as a LED lighting system placed around the ports so you may easily connect it under low visibility conditions, plus another one on the device that let’s you know the power condition of NIFTY´s battery. 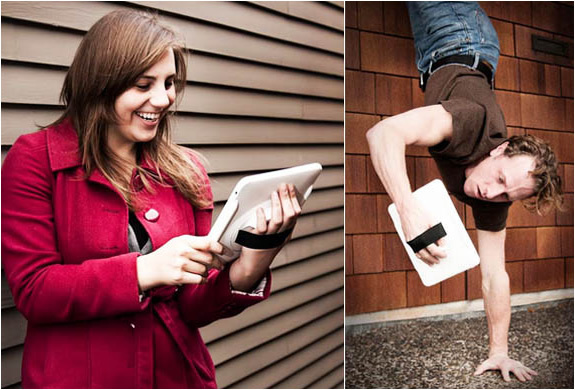 The pack includes flat cables and a suede pouch to enhance portability and comfort.